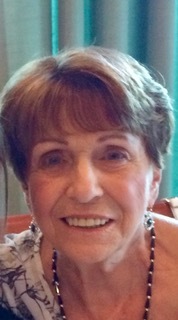 Diane M. (Vitale) (Weber) Clifford, 76, of Whitman, MA and Naples, FL died peacefully on March 18th, after a brief illness. Diane was the loving wife of James J. Clifford Jr. for 43 years and loving mother of Julie A. Kelley (James) of Wyoming, RI, and Annemarie Gallivan (George) of Mansfield, MA. She was also the loving stepmother of James J. Clifford III of Abington, MA, Garrett J. Clifford (Alicia) of Abington, MA, Jill M. Clifford of Norwell, MA, and Jason A. Clifford (Tracy) of Marshfield, MA, along with their 17 beautiful grandchildren and loving nieces and nephews. She is also survived by her brother Dennis Vitale (Anne) of Canton, MA and predeceased by her sister June (Burke) Lee of St. Petersburg, FL. Born in Boston, MA on June 27, 1942, she was the daughter of the late Benjamin and Marian Vitale. Diane retired from her house cleaning business in 2000. She lived for 30 years in Stoughton, MA where she was a Town Meeting Member. Upon retirement, she relocated and downsized to Whitman, MA and Naples, FL. Diane will be remembered by many for her loyal, caring, and generous ways. She greeted all with a warm welcome and a place at her table. We are sure she is beginning eternal life in heaven. Funeral from the Quealy & Son Funeral Home 116 Adams Street, Abington Wednesday April 10 at 8am, followed by a Mass of Christian Burial in St. Bridget Church, 455 Plymouth Street, Abington 9am. Visitation Tuesday 4 to 8pm. Interment Mt. Vernon Cemetery, Abington. In lieu of flowers, please make a donation to: NVNA and Hospice, Attn: Pat Roche Hospice Home, 120 Longwater Avenue, Norwell, MA 02061 or the charity of your choice.